Michael Buble's introduction to the music of the swing era came to him through his grandfather, who filled his grandson's ears with the sounds of the Mills Brothers, Ella Fitzgerald, Frank Sinatra, and others. As Buble eagerly absorbed the recordings, he began to realize that he wanted to be a singer and that this style of music, virtually foreign to his own generation, was what he wanted to perform. With his grandfather's assistance, Buble soon learned a whole catalog of tunes and gained experience and exposure by singing as a guest with several local bands. It wasn't long before Buble was introduced to Grammy-winning producer David Foster and signed his first major recording contract. With this second studio full-length album It's Time, Buble appears to be coming into his own as a song stylist and crooner (which might explain the album's title.) He builds upon the musical foundation he laid with his debut and demonstrates that he is much more that a flavor-of-the-month celebrity. Like his debut, It's Time mines the rich history of pop music as Buble applies his own technique to classic standards and incorporates his Rat Pack sound into modern pop songs. Nostalgic big band swing, groovy Latin duets, silky smooth ballads, they're all here – and all artfully, faithfully reproduced with the calculation, precision and accuracy. Having a standard like A Foggy Day (In London Town) share space with the Beatles' Can't Buy Me Love may seem like a lounge lizard joke waiting to happen, but the arrangements and performances are seamless. Therefore, the quiet groove of I've Got You Under My Skin can sit comfortable next to Buble's smoky version of Leon Russell's A Song for You, featuring Chris Botti on trumpet. Perhaps it is due to this formula working so well that Buble has incorporated more of his unique takes on modern pop than on his debut. He even ventures into R&B territory with older hits like Try a Little Tenderness and How Sweet It Is, all the while giving these songs a retro freshness that breathes new life into these gems. Another positive step forward is the inclusion of the lovely original tune Home, a somewhat autobiographical "too long on the road" song co-written by Buble. The success of this ballad provides yet another direction that he can explore and expand upon. 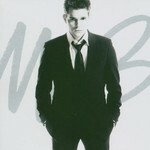 Also appealing is Buble's stylish reworking of Feeling Good, a track usually associated with Nina Simone. Pop starlet Nelly Furtado sounds lovely and elegant in the duet Quando, Quando, Quando, while Buble ends the disc with a beautiful reading of You and I. Although it took more than a year of concerts and promotional appearances, Michael Buble's 2003 debut disc of swinging pop standards finally ascended the Billboard album chart and landed at number 47. That peak may not seem impressive at first, but in a musical world dominated by rap or the latest flavor of alternative rock, Buble's upper chart appearance was a real accomplishment and it sparked a renewed interest in music associated with great vocalists like Frank Sinatra. Throughout his new disc Buble's emits the feeling that he loves these songs and truly enjoys what he is doing. He sounds pure of voice and pure of heart. Those are rare commodities in the recorded world and they, along with Buble's talent and vision, help to make It's Time a wonderful listening experience. In 2005, this album became a number one hit in Canada, Japan, Italy, and Australia, and made the top ten of both the UK and US.